I recently completed the famed and fabulous Triple Bypass bike ride. The route went from Evergreen, CO to Avon, CO in about 120 miles. It took me about 8.5 hrs to complete the ride and I felt good. I’m not sure there’s any way to make a ride like this easy but adequate training makes it a very reasonable journey. That answer embodies the best way to prepare for a big bike ride. In athletic training, the specificity principle means that if we want to be prepared for a thing, then we better spend a lot of time doing that thing. If I want to be a strong cyclist then I should spend plenty of time on the bike. Swimming, running, yoga or weight training probably won’t do as much for my cycling ability as cycling will. Thus, I pedaled a lot. Since the Triple involved riding in the mountains, I rode in the mountains. I trained from early May to the first week of July. I averaged 100 miles per week. Most of those miles came from two big rides, one on Tuesday and one on Saturday or Sunday. I also did sprint intervals on Thursdays. Other rides were short, slow and easy. I ran sporadically and squeezed in about one, maybe two weight workouts per week. Besides simply climbing, I did a lot of climbing intervals. These weren’t highly organized. They were mostly fartlek-type workouts in which I would ride very hard for anything from about 30 seconds up to several minutes during a climb, then back way off, ride easy, then repeat the process. My sprint interval workouts were similar. What goes up usually must also come down and riding in the Rocky Mountains means there are many fast downhill rides. I have been witness to some incredibly fast descents by people who appear to be fearless. I am frequently in awe of the downhill skills of some of my fellow riders. I’m a bit more cautious and hesitant than some people. I want to go faster downhill though. I want to be a better descender. I figure if others are so comfortable with gravity then so too can I.
There’s no one magic way to descend fast. Like any skill, it takes mindful, frequent practice. I watched videos, read articles, and then went out and tried to apply what I learned. With the idea of specific training in mind, it’s clear the only way to get better at descending, was to descend. I practiced a lot and I stayed mindful of the skills I was developing. 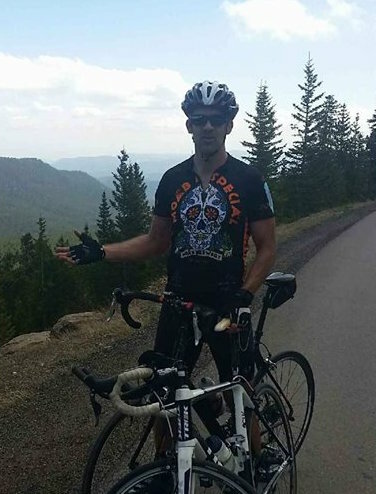 Riding a bike fast down a mountain can and probably should cause a bit of fear in a normal human brain. It definitely does in mine. The fear must be managed. It probably can’t be eliminated. I must live with it. Whether it’s cycling, skiing, or the trumpet, Effective learning can’t happen in the presence of overwhelming fear. Too much fear causes us to revert back to old habits, clamp down, tense up and freeze. At best it means no new skills are gained and we stay frightened of the task at hand. At worst it can mean catastrophe and maybe severe injury. Thus, only through gradual exposure to faster speed, greater lean angles and tighter turns could I build my downhill skills. My process was one in which I gradually took (and continue to take) a little more risk each time I descended. I worked on my position, braking, and leaning the bike every time. I worked to keep my fear in check. The result is that I’ve become faster and more comfortable on the downhills. I never made any great leap forward but rather I made gradual progress which I expect will continue. These athletes are in touch with their fear and they know it well. I believe that there is a strong link between how well an athlete knows their fear and their success. The better they know it and can work with it, the more they’ll achieve. Thus far I feel I’ve made respectable progress in going downhill. I’ve been moving faster through turns than in the past. I wasn’t the fastest descender in the Triple but I felt I kept pace with plenty of other people. The process will continue. Despite what I said in my last post about feeling great, a number of my years-old aches and pains have returned–and it frustrates the hell out of me!! I can spend several weeks feeling great. I can run, lift and bike however much I want and everything feels top-notch. Then the symptoms come back. My left heel and Achilles starts to ache. My left glute feels weak. Parts of my left hamstring often hurt. (Maybe I should amputate my left side?) And I’m right back where I’ve been for way too long. It’s all of these things that have led me to continue to investigate pain, injury, nervous system dysfunction, and how to overcome these issues. Bicycling has been one of the constants over the course of my pain. It’s been one activity that I’ve largely been able to do pain free. But now I’m wondering if the bicycling is setting me up for the pain and dysfunction I’ve been experiencing. Beyond that, it may be sitting in general that’s an issue for me. It’s probably no surprise to you that spending a lot of time on a bike saddle isn’t always the healthiest thing a man can do. Various nerves and blood vessels can be mashed which can result in a variety of problems including erectile dysfunction, numbness, prostate issues. Here’s a decent rundown of potential men’s health issues related to cycling. Cycling may also have implications beyond that most sensitive of areas. 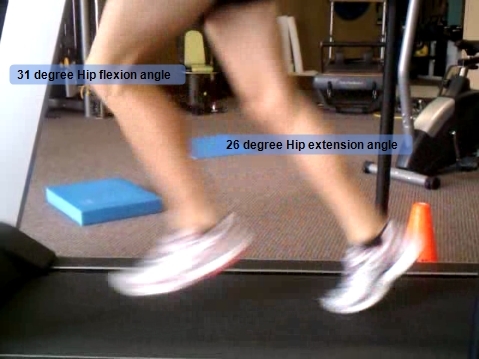 If we look at the hip flexion and extension in cycling vs. hip flexion/extension in running, then we see that that cycling keeps the hips in a very closed type of position. We go from lots of flexion to slightly less flexion as we pedal. We never get full hip extension. Thus we may create glutes that are overly stretched out and weak while simultaneously restricting various other nerves in the low back and pelvis. Add this to the fact that we all wind up sitting a lot during the day no matter how active we are, and you might see how we can quickly create problems in the hips that may filter out to other areas of the body. Something else I’ve started recently is a bit of nerve flossing. “What? !” you say? If you look at the chart on right, you’ll notice that the nerves run out from the spinal cord and out through the limbs all the way out to the fingers and toes. Along the way they travel through various passages. As we move our nerves must move too–at least they should move. They should slide back and forth smoothly as we bend, reach, sit, stand, twist, etc. But sometimes these nerves sort of become stuck. As you might guess, nerves are somewhat sensitive. They don’t much like being stuck, squished, pinched or otherwise messed with. We can end up with what’s known as nerve impingement or nerve entrapment. 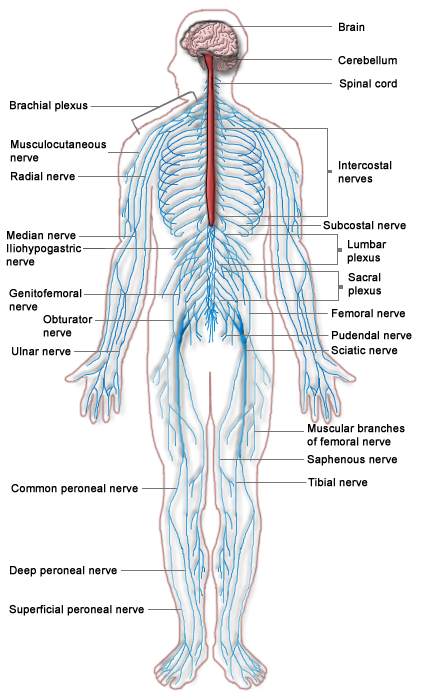 Nerve entrapment can cause pain, numbness, weakness and/or pins-and-needles in any number of places. Someone can have an entrapped nerve for instance in their knee and they may feel symptoms down in the ankle or up in the hip. Fortunately we can mobilize these nerves though and un-stick them. Watch the nerve flossing videos to see how. So the plan is this: As much as it “pains” me, I’m laying off the bike for several weeks. How long? I’m not sure. It’s the one part of the equation that I really haven’t changed so I need to investigate it. Further, I’m going to continue with the nerve flossing and lots of to see what happens. Further, my idea is that running is something humans have done since before the start of forever. Bicycling meanwhile is quite a different activity from anything our ancient ancestors did, and it’s a very new activity relative to how long homo sapiens have been on earth. Thus it may be the sort of activity that causes some weird stuff to happen to us–or me specifically. So my hope and my expectation is by reducing the cycling I’ll resolve some of these issues, and this will allow me to run. I will eventually return to cycling and see how I feel. This whole process, should it work, should enhance my cycling ability as well.